The Open Badge Network (OBN) is an European strategic partnership dedicated to Open Badges and funded under the European Erasmus + Program. Open Badge Network (OBN) brings together organisations from across Europe to support the development of an Open Badge ecosystem, promoting the use of Open Badges in formal, non-formal and informal learning. Mozilla Open Badges is an open standard that allows diverse types of skills, competencies and achievements to be recognised and shared across the web. Schools, universities, employers and informal learning providers globally are using Open Badges to capture lifelong learning which may be unrecognised by traditional forms of credentialing. Open Badge Network (OBN) aims to provide a trusted source of independent information, tools and informed practice to support individuals and organisations who are interested in creating, issuing, earning, endorsing and using Open Badges in Europe and beyond. 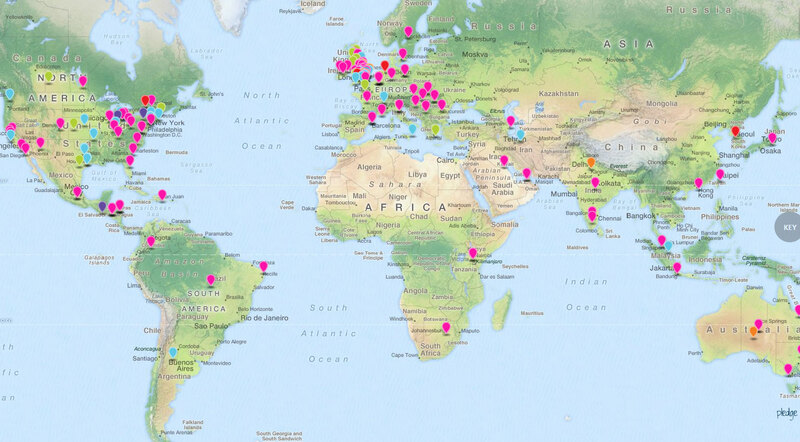 You can see who is already issuing Open Badges on the interactive online Inventory of Open Badge Projects (see the map below) and share your planned or already running Open Badge projects too. We are looking for individuals and organisations from across Europe to join us and help us build the Open Badge Network further! It doesn’t matter whether you are an Open Badge novice or an expert, if you are interested in Open Badges and would like to support the Mission included in the OBN Charta – you are very welcome you as a member of the Open Badge Network! Please register here: OBN community registration.